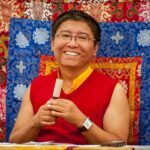 Enjoy Tsoknyi Rinpoche’s New Year’s message from Nepal! The Pundarika Foundation membership program offers access to many of Rinpoche’s teachings and other benefits. It is open to everyone. CLICK HERE for more information and to sign up. We’ll realize that we’re always sheltered, always safe, and always home. 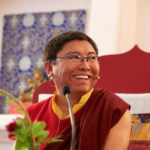 The key – the how of Buddhist practice – lies in learning to simply rest in the bare awareness of thoughts, feelings, and perceptions as they occur.